Twitch is a popular online service for watching and streaming digital video broadcasts. When it was founded in 2011, Twitch originally focused almost entirely on video games but has since expanded to include streams dedicated to artwork creation, music, talk shows, and the occasional TV series. The streaming service boasts over 2 million unique streamers every month and more than 17 thousand of these users earn money through the Twitch Partner program, a service that provides streamers with added features such as paid subscriptions and ad placements. Twitch was purchased by Amazon in 2014 and it remains one of the highest sources of internet traffic in North America. Where Can I Watch Twitch? Twitch streams can be viewed on the official Twitch website and via one of the many official Twitch apps which are available for iOS and Android devices, Xbox 360 and Xbox One video game consoles, Sony's PlayStation 3 and 4, Amazon's Fire TV, Google Chromecast, and the NVIDIA SHIELD. 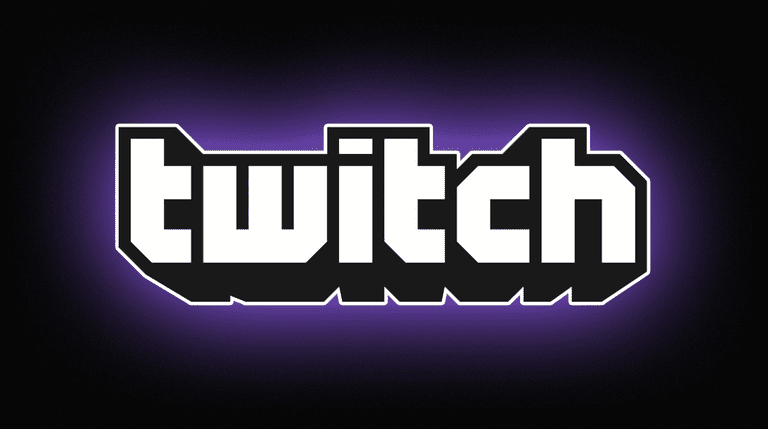 Watching broadcasts and videos on Twitch is completely free and doesn't require viewers to log in. Creating an account, however, does allow users to add their favorite channels to a follow list (similar to subscribing to a channel on YouTube) and participate in each stream's unique chatroom. Hosting is a popular way for Twitch streamers to broadcast another channel's live stream to their own audience. How Can I Find Twitch Streamers to Watch? Twitch recommends streams on the front page of their website and its apps. Another popular way to discover new Twitch channels to watch is by browsing the Games category. This option is available on all of the apps and the Twitch website and is an easy way to find a live stream relating to a specific video game title or series. Other categories to explore are ​Communities, Popular, Creative, and Discover. These can be found in the Browse section of the main site though not all of them are present in the official Twitch apps. Many of the more-popular Twitch streamers are quite active on Twitter and Instagram which makes both of these social networks a solid alternative for discovering new streamers to follow. Using social media is particularly useful for finding new streamers based on their personality and other interests, something that can be hard to discern when searching on Twitch directly. Recommended keywords to use when searching Twitter and Instagram include twitch stream, twitch streamer, and streamer. Twitch may have begun as a video game streaming service but it's since expanded and now offers a variety of different live streams aimed to appeal to a broader audience. The most-popular non-gaming category is IRL (In Real Life) which features streamers simply chatting with their viewers in real-time. Talk Shows is another popular non-gaming option which contains a mix of live panel discussions, podcasts, and even professionally produced variety shows while Cooking contains, as many would correctly guess, cooking and food shows. Viewers looking for something a bit more artistic should check out the Creative category. This is where artists, programmers, animators, cosplayers, and designers share their creative process with the world and these streams usually attract a very different audience than those watching other categories. Is Twitch a Social Network? Over the years since its launch, Twitch gradually introduced a variety of features that have helped it evolve from being a basic streaming media site into something that more closely resembles a social network such as Facebook. Twitch users can follow and DM (Direct Message) each other, each stream has its own unique chatroom where users can connect, and the popular Pulse feature essentially functions as a Google Plus, Facebook or Twitter timeline and allows for everyone on the network to post their own status updates as well as like, share, and comment on what others have written. All of these features are accessible via the official Twitch mobile apps as well which puts it in direct competition with other social apps. Did Twitch used to be a social network? No. Is it one now? Absolutely. What Are Twitch Partners and Affiliates? Partners and Affiliates are special types of Twitch accounts that essentially allow for monetization of broadcasts. Anyone can become a Twitch Affiliate or Partner but certain requirements must be met in regards to a stream's popularity and the number of followers a user has. Twitch Affiliates are given access to Bits (a form of mini-donations from viewers) and 5% of game sale revenue made through their profile. Twitch Partners also get these perks in addition to video ads, paid subscriptions options, custom badges, and emoticons, and other premium perks for their channel. Are People Really Making a Living on Twitch? In short, yes. While not everyone on Twitch has quit their day job, a large number of streamers do actually make a fulltime living (and more!) by streaming on the service through a combination of recurring paid subscriptions, micro-donations (i.e. Bits), regular donations (which can range from a few dollars to a few thousand), sponsorships, advertisements, and affiliate sales. Reaching that level of financial success on Twitch requires a lot of dedication though with most of the more-popular Twitch Partners and Affiliates streaming five to seven days a week to maintain their audience. TwitchCon is an annual convention organized by Twitch that takes place over a period of three days in either September or October. The official aim of TwitchCon is to celebrate video game and streaming culture but it also serves as a platform for the company to promote new services to users and acknowledge Twitch Partners who have been particularly successful. Events and activities at TwitchCon range from discussion panels and workshops to meet and greets with popular Twitch Partners and even a special party with live music and drinks. Tickets average around $85 per day with events running from around midday to later in the evening. Children are welcome at TwitchCon but those under 13 years of age are required to be accompanied by an adult. In general, TwitchCon has a more mature age demographic than similar video game conventions such as PAX or Gamescom. The first TwitchCon was held in San Francisco in 2015 and attracted over 20,000 attendees over its two days while the second convention in 2016 in San Diego, which ran for three days, grew to over 35,000. How Is Twitch Connected to Amazon? Amazon purchased Twitch in 2014 and while the change of ownership hasn't affected Twitch too dramatically on the surface, there have been some significant evolutions to the platform with the introduction of Bits, a digital currency purchased with Amazon Payments used to make micro-donations to streamers, and Twitch Prime. What Does Twitch Prime Do? Twitch Prime is a premium membership for Twitch which links to Amazon's Amazon Prime program. Anyone with an Amazon Prime membership automatically gains a Twitch Prime subscription and the two are often used as a way to cross-promote the other. Users with a Twitch Prime membership are given an ad-free experience on Twitch, free digital downloadable content (DLC) for select titles, video game discounts, and a free subscription which they can use on any Twitch Partner's channel as a way to support them. Twitch Prime is now available in all major regions worldwide. Does Twitch Have Any Competition? Twitch is by far the most-popular service for streaming and watching video game footage and related content. This is partially due to the fact that Twitch was the first company to focus on dedicated video game streaming but its success can also be credited to its own innovations in the industry, particularly when it comes to helping users monetize their own content. While still not as popular as Twitch, YouTube is gaining ground in the video game streaming market with its YouTube Gaming initiative which launched in 2015. Twitch's biggest rival though could potentially be Microsoft who purchased the video game streaming service, Beam, in 2016 before re-naming it as Mixer and incorporating it directly into its Windows 10 PCs and Xbox One consoles. There are several smaller streaming services such as Smashcast (formally Azabu and Hitbox) but YouTube and Mixer are the only real threat to Twitch due to the size of their respective companies and existing user base. If you have a Twitch account and it's not what you what you expected, you can always delete the account to get rid of it.